There’s an unforgettable scene in We Were Soldiers, the 2002 movie based on the first major battle between the United States and the North Vietnamese. American ground troops under the command of Lt. Col. Hal Moore (played by Mel Gibson) are losing ground to enemy forces. In a last and desperate act, Moore hails the radio and calls for “Broken Arrow”—the Hail Mary play that brings in planes for close air support. There’s no guarantee the planes will succeed, but one thing is certain: Without those reinforcements, Moore’s troops don’t stand a chance. 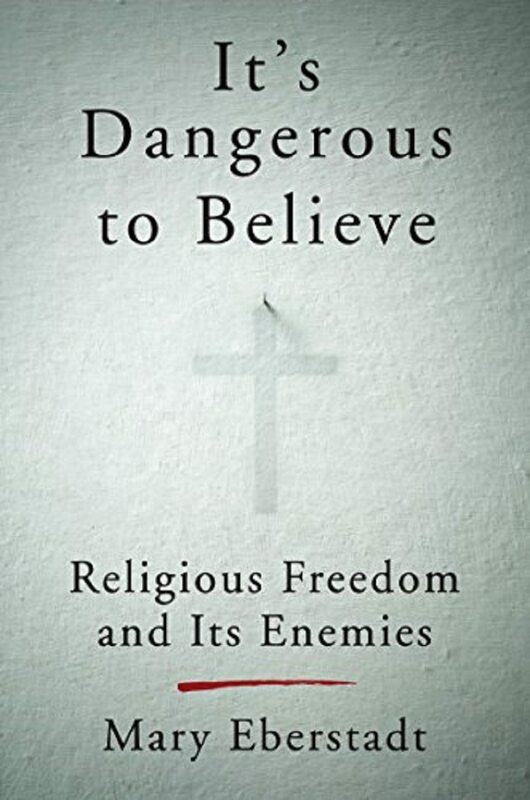 Eberstadt—an essayist associated with several think tanks, including the Hoover Institution and the Ethics and Public Policy Center—situates the battle as between religious traditionalists and secular progressives. Although that framing misses the role religious progressives have played in the push against religious traditionalists, she’s right that some secular progressives would like to see an end to traditionalist beliefs. She also correctly observes that religious traditionalists often assume a defensive posture. Many religious schools, campus ministries, and social service organizations aren’t interested in picking fights—they simply end up in litigation, policy fights, and media battles from those who increasingly demand conformity with progressive sexual ethics. To her credit, Eberstadt avoids some of the hyperbole that often accompanies culture war narratives. For example, she’s careful not to claim American Christians are being “persecuted,” though at times she invokes the phrase “soft persecution.” She’s also clear-eyed about the costs of this culture war. In one of the most important sections of the book, Eberstadt explains how our charitable infrastructure depends on traditionalist religious institutions; she rightly observes that government workers and well-meaning secularists are unlikely to fill the void. There’s much Eberstadt gets right, but the book falls short in some important ways. That Broken Arrow scene from We Were Soldiers came to mind not from Eberstadt’s culture-wars framing, but because her narrow conception of religious traditionalists (the ground troops in this analogy) blinds her to the reinforcements that might actually save them. My hunch is that when Eberstadt refers to “religious traditionalists” she means “white Catholics and evangelicals.” Almost all her examples involve white Christian individuals or institutions, and apart from a few isolated examples, she shows little awareness of the millions of other religious traditionalists in this country. If the ground troops in this story are all white Christians, they’re unlikely to prevail without the guys in the planes. Yet Eberstadt’s religious traditionalists aren’t simply failing to call in these reinforcements; they’re often undercutting the very possibility. Consider first American Muslims. Traditionalist Christians and traditionalist Muslims harbor many theological disagreements, but they share a common unease with many aspects of progressive sexuality. Yet at a time when these two groups ought to be building bridges toward one another, many traditionalist Christians are doing just the opposite. Instead of coming to the aid of their would-be reinforcements, many have lobbied for fear-induced “anti-Sharia” laws and joined conservative politicians who castigate Muslims as disloyal second-class citizens. Black Christians are another potential reinforcement for the ground troops. Many black Christians (and other non-white Christians) share the biblical values of white religious traditionalists. Yet they’re virtually absent from Eberstadt’s account. Eberstadt also fails to address the argument that traditionalist religious views about sexuality are analogous to views about segregation a generation ago. Although that argument has significant legal and cultural flaws, it poses a powerful rhetorical challenge for white religious traditionalists whose predecessors impeded efforts toward racial equality and whose institutions, buildings, and bank accounts still benefit from that moral failure. Those who bear the scars of “the old civil rights” are far better positioned to resist rhetorical challenges from advocates of “the new civil rights.” But instead of recognizing their need for black Christians, white religious traditionalists have largely ignored them, and many remain indifferent to the challenges of personal and structural racism that persist in this country. Hal Moore could only call for Broken Arrow because the guys in the planes believed the guys on the ground were worth dying for. That doesn’t just happen out of the blue. It requires a shared understanding of common interests and a willingness to stand with one another in difficult times. If I were in the planes looking down, I’d be concerned about the friendly fire coming my way. And I’d be even more worried in light of some of the claims coming from white religious traditionalists in the current political season. Of course, white religious traditionalists ought to be motivated by more than strategic alliances. They should defend the religious liberty of Muslim Americans not because they’re looking for reinforcements, but because religious freedom for all is a gospel imperative. They should stand with black Christians not because they’re in search of a rhetorically useful alignment, but because the gospel transcends race and calls us to bear each other’s burdens. My worry is the ground troops in Eberstadt’s story don’t realize they won’t make it without the guys in the planes. And they don’t realize how little they’ve done to build trust with those potential reinforcements. That doesn’t bode well for Broken Arrow—a long shot under any circumstance. John Inazu is the Sally D. Danforth Distinguished Professor of Law and Religion at Washington University in St. Louis and the executive director of The Carver Project.